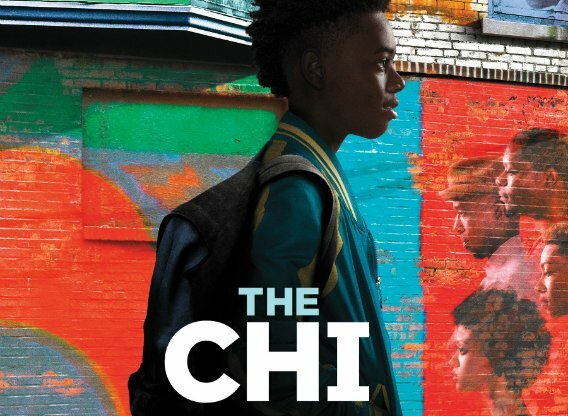 The second season of “The Chi” is in production and now casting. Chicago’s 4 Star casting is now looking for area locals to cast in paid extra roles. If you live in the Chicago area and would like to work as a paid TV show extra, read on. Life in the South Side of Chicago can get a bit dangerous. The show focuses on kids and their families who live in Chicago’s south side and navigate that world where simple decisions may have grave consequences. The Chi is a drama which was created by writer Lena Waithe. The Chi is all about life in a rough neighborhood in Chicago’s south side. The show airs on Showtime and premiered on Showtime on January 7, 2018. Later that month, Showtime announced that it had renewed the series for season 2. Season 2 just began production in Chicago. According to the show’s description… The young adults of the area are trying to scrape a living for themselves, while the elders sit on their front porches and observe the goings on. The South Side has the potential to crush dreams, and this coming-of-age series focuses on Kevin, a preteen who embraces the normal rites of childhood, Brandon, who makes a leap of faith to succeed in love and life with Jerrika, Emmett, who seeks guidance from his mother, and Ronnie, who is a drifter struggling to be loved. All of them are linked together by sheer coincidence as they seek redemption. Be sure to also check out all the other shows currently casting in the Chicago area. Please note that you must live in the Chicago area in order to be considered. Male/Female, African American, Ages:6-9. Please do not submit if your child is part of our core group of kids. Please attach your child’s current IL work permit through 4 Star Casting or a local talent agency. If you are submitting your child – please do not fill out a POP profile – just submit an email with the following info below. Male/Female, African American, Ages:18-75. We are looking for all shapes and sizes for a christening party scene. Male/Female, African American, Ages:18-75. We are looking for all shapes and sizes for a christening party scene. Please list the color, year, make, model of your car. Please confirm you are able to drive yourself to Crete, IL ***Please don’t submit if you are already booked on another show this date! If you already have a POP profile, you may continue with the submission email. We will be in contact with you via POP if you are in consideration. Interested in the all age. How do I get in contact with the production? I can be a mover, I’m pretty strong. Denali Cosby is a gifted young male actor out of Chicago, age 25, who was in SAG as a teen but can longer afford the fees. His looks are similar to singer ‘The Weekend’. He is a natural actor and even taught himself a British accent for the young boy role audition fur ‘The Christmas Carol’ at age 8. Born and raised in Chicago, he knows the streets while expressing himself very well to all. I can be your French chef if you want to see my acting ability, look on youtube for romi the singing chef.